When President Barack Obama implemented the Deferred Action for Childhood Arrivals program in 2012, he invited hundreds of thousands of young undocumented immigrants to formally apply to the federal government for temporary protection from deportation. Over the last five years, roughly 800,000 immigrants, who have lived illegally in the US after they were brought to the country as children, responded to his call, offering up details like their addresses, employers, and schools to the same government they now fear could use the information against them as the Trump administration continues its crackdown on illegal immigration. 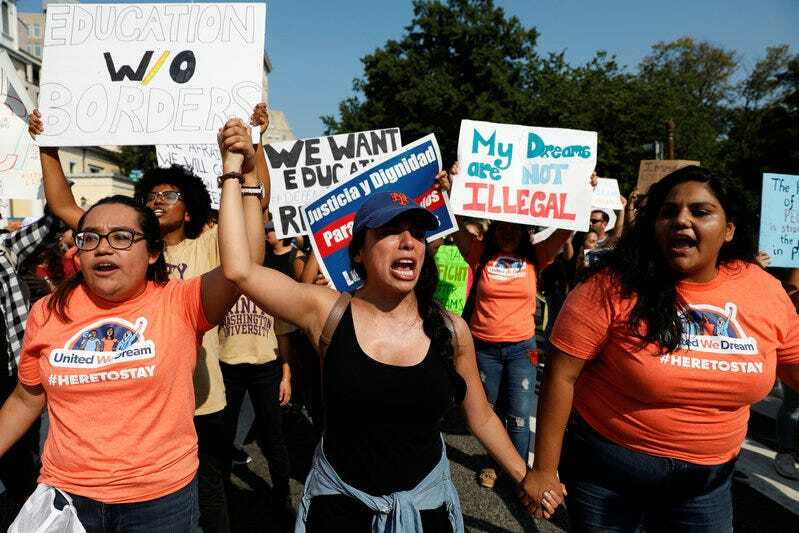 President Donald Trump on Tuesday announced his administration will end DACA, phasing out the program over the next six months to allow Congress time to act. But DACA recipients, known as "Dreamers," fear that beyond losing their work permits and protections against deportation, they could be uniquely vulnerable to federal immigration authorities due to the information the Department of Homeland Security has collected from them. "That was the first thing that crossed my mind — I was like, 'Oh s---,'" Rosie, a 30-year-old DACA recipient who has lived in the US for 26 years, told Business Insider on Tuesday. Rosie declined to give her last name. "Even before applying for the program, I knew there was a risk because our sensitive information was being granted to the government," she said. And we were pretty much open about everything. We had a really extended background check." An increasing level of mistrust between immigrant communities and the Trump administration in recent months has only exacerbated concerns that DACA recipients could be easily targeted for deportation, according to Reaz Jafri, an immigration attorney at the firm Withers Bergman. "DACA invited people who were in the shadows to come forth, get biometrics taken, get put in the system, get a social security number, get a job, take out a loan, open a bank account, get a credit card," Jafri told Business Insider. "They're wondering, 'Now that I'm no longer protected, can ICE now come and find me? Because ICE now knows where I live, where I work …' It's really nerve-wracking for these people." Another DACA recipient, 23-year-old Geovanna Serrano, who was brought to the US from Ecuador 17 years ago, said that while she believes there are too many Dreamers for immigration authorities to target individually, it's difficult to trust the Trump administration after his wavering on the DACA program. Trump in recent months vowed he would deal with the program "with heart" and said Dreamers could "rest easy." 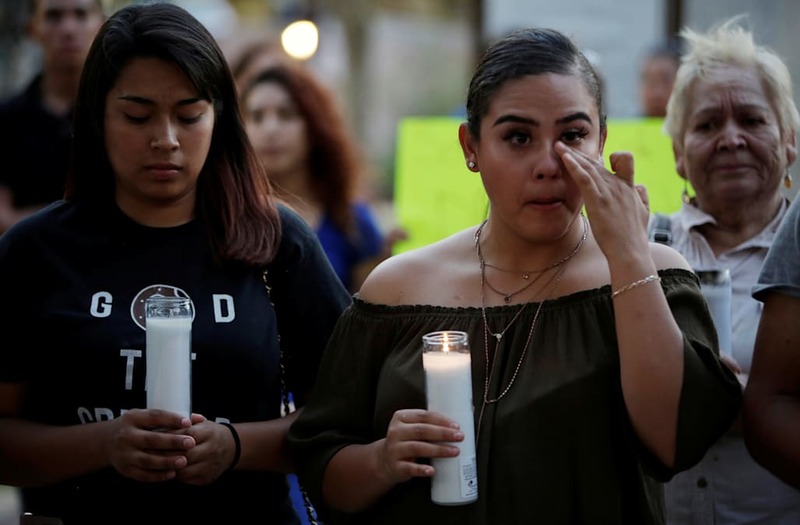 "Originally he said he has a good place in his heart for us … He said, 'You guys don't have to worry,' but we're here worrying now, because he clearly didn't stick to his word," Serrano told Business Insider. "It's definitely something concerning — the fact that they have all this information. [Immigration authorities] won't come to people's homes, because I know that would cause a lot of chaos, but it's definitely something that concerns me." Dreamers' fears are not unfounded — the same fear surfaced several years ago after the Obama administration in 2014 attempted to expand DACA and implement a program to shield from deportation the undocumented parents of American children, known as Deferred Action for Parents of Americans and Lawful Permanent Residents. As HuffPost reported on Tuesday, the judge who ruled against DAPA in 2015 had included among his reasoning the possibility that any DAPA applicants who offered up their personal information to the federal government in exchange for protection from deportation could be at a heightened risk under a different presidential administration. "There may be dire consequences for them if DAPA is later found to be unconstitutional," US District Judge Andrew Hanen, a George W. Bush appointee, said in his ruling. "The DHS — whether under this administration or the next — will then have all pertinent identifying information for these immigrants and could deport them." Trump himself appeared to acknowledge those concerns in an official statement released on Tuesday that declared DACA recipients would not be prioritized for deportation "unless they are criminals, are involved in criminal activity, or are members of a gang." "Our enforcement priorities remain unchanged. We are focused on Criminals, security threats, recent border-crossers, visa overstays, and repeat violators," Trump said in the statement. But the Department of Homeland Security is slightly more hazy on the issue, according to a recently updated "frequently asked questions" page on the department's website, which says the department will not "proactively" supply law enforcement agencies with the personal information of DACA recipients or applicants — but there are caveats. "Generally, information provided in DACA requests will not be proactively provided to other law enforcement entities (including ICE and CBP) for the purpose of immigration enforcement proceedings unless the requestor poses a risk to national security or public safety, or meets the criteria for the issuance of a Notice to Appear or a referral to ICE under the criteria," the website says. However, the department's policy "may be modified, superseded, or rescinded at any time without notice."